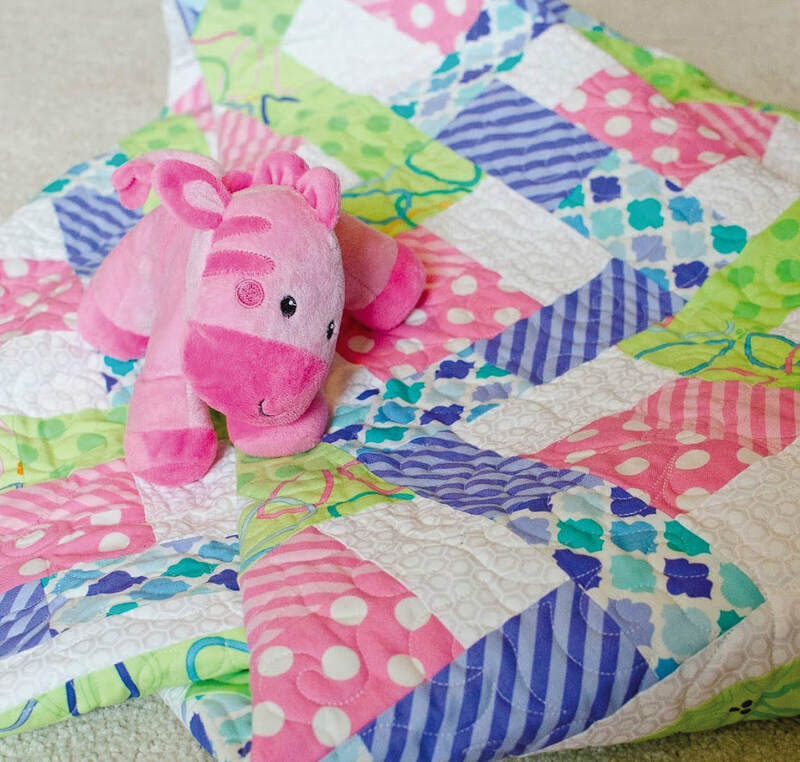 The Quilt Branch designs easy-to-follow, fully illustrated quilting patterns so you can enjoy quilting as much as us! Many of The Quilt Branch patterns are based on our Six Halves Make a Whole method or use the Creative Grids House Ruler. March is National Quilting Month. It is also the month that I think the weather changes the most. One day it will be below zero, then a few days later the spring flowers will start to appear. It is also the month that my quilting goes into high gear. I have lots of quilts in various stages of unfinished that I want to complete before it is time to get outside in the garden. Do you have times when your projects seem to pile up more than others? Or are you the type that works on one project until it is finished? This cute wallhanging, Pocket Full of Posies, is a quick project that you can finish and have it hanging before the spring flowers are ready to pick. There's just a little hand sewing to make the yo-yo flowers. Did you know you can now order The Quilt Branch patterns directly from this site? Now there's no excuse to not make that quilt or table accent you've been thinking about for months or the one that just caught your eye. Order today and use up some fabric already in your stash! Click on an image to see the pattern and many more like it. And be sure to follow The Quilt Branch on Facebook for updates!